Guess Microsoft isn’t dead yet. Windows 7 was a great step forward after the Vista failure. The Xbox 360 sells well, and now with the Kinect they are reaching a whole new audience. I never wanted an Xbox before, I was fine with my gaming PC, Wii, and PS3, but now with Kinect, I’m very tempted to buy one. Played it a few times at a friends house and it’s really cool, wish I had one when I was a kid. 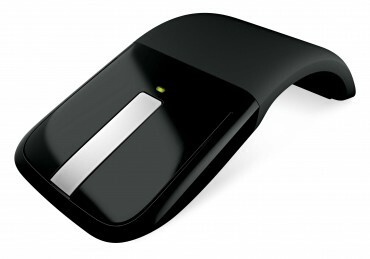 After much anticipation, we are excited to announce the Microsoft Arc Touch Mouse! You might have seen the teases we shared on Twitter –we were trying to get you thinking about things that were flat and when you see this mouse you’ll know why. Some of the creative responses we got surprised us! You’ll remember just a couple weeks ago we reported on the rumored new device, which Neowin correctly guessed was a new Arc Touch mouse. Also, arctouchmouse.com now takes you to the product website instead of a Bing search. Pre-orders are open today for a release sometime in December. The big difference, compared to Apple’s touch mouse, is only the silver strip is “touchable”. Also, the gestures are pretty basic when compared to Apple’s multi-touch capabilities. The rest of the mouse just works like a regular mouse. Microsoft’s selling point is that you can flatten the mouse for easy transport and then arc it for more traditional comfort. I can see a market for this, but if they try to get more than $30 for it, I think it’s going to be a hard sell. Microsoft to release a magic mouse of its own? Details of the Arc Touch Mouse began surfacing in early July as several European retailers began publishing listings for a “Microsoft Arc Touch Mouse”. 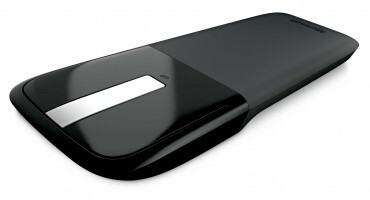 Company officials registered arctouchmouse.com on Tuesday March 30 this year and according to an insider that spoke to Neowin, the device will launch in September. Also, going to arctouchmouse.com takes you to a Bing search for Arc Touch Mouse. So could this be Microsoft trying to get in on the touch mouse / trackpad game? You know by now that Microsoft has started opening their long rumored retail stores which are basically an exact clone of the Apple stores. Can’t really blame them for using a format that works (at least for Apple). Guess someone at Microsoft didn’t like being a clone and decided to add this twist to the mix…oh Microsoft, you make it too easy. You can take the Microsoft out of Redmond, but you can’t take the Redmond out of Microsoft.